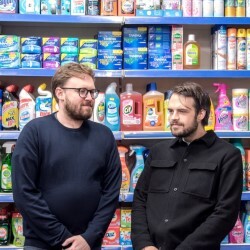 Old friends John Kearns and Pat Cahill have gathered together 110% of their very best talking points, bloopers, songs and fighting talks to discuss at the Blundabus. Also featuring some hand picked friends from the cream of their alternative comedy price bracket. No interval, no corkage! Previous guests include John Robins, Nick Helm, Sam Simmons, Lolly Adefope, Mat Ewins, Jordan Brookes, Lou Sanders and Adam Riches.